The Horse Racing capital of the world held a treasure trove of fun for Southern TravelingMom her daughter. Louisville, Kentucky is much more than delicious food and thoroughbred horses, though they both just add more allure to the artsy city. Get ready to discover this and more with her 2 day itinerary for Louisville with kids (or without). Louisville’s Big Four Bridge off a dazzling visual delight with its colorful light show. Photo by Melody Pittman/Southern TravelingMom. Arrive in Louisville and head straight for the zoo. The Louisville Zoo is a 134-acre zoo with around 1700 animals. Taylor and I walked the entire zoo (no small feat) as we visited the gorillas, Asian elephants, and meerkats. 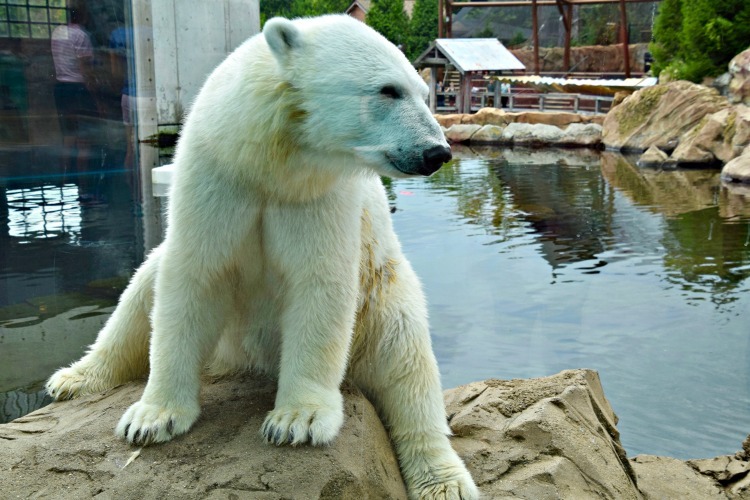 The zoo’s Glacier Run’s Bear Habitat was one of our favorites, with sea lions, seals, polar and grizzly bears. Watching the zookeeper feed the polar bears was very cool. This polar bear gets hand-fed several times daily and he likes it! Photo by Melody Pittman/Southern TravelingMom. Have a fantastic lunch Royal’s Hot Chicken. I loved the look of the restaurant and the food was more than satisfying. Taylor had the Nashville style hot chicken and I (don’t judge!) ordered the Baked Pimento Cheese with bacon jam (served in a darling tiny cast iron skillet) and Cheesy Chicken Poppers. Oh my goodness, they were both epic! Though we didn’t try one, Royal’s Hot Chicken also has boozy milkshakes. Royal’s is located in the NuLu area of town which is the hipster part with art galleries, upscale eats, and specialty stores. 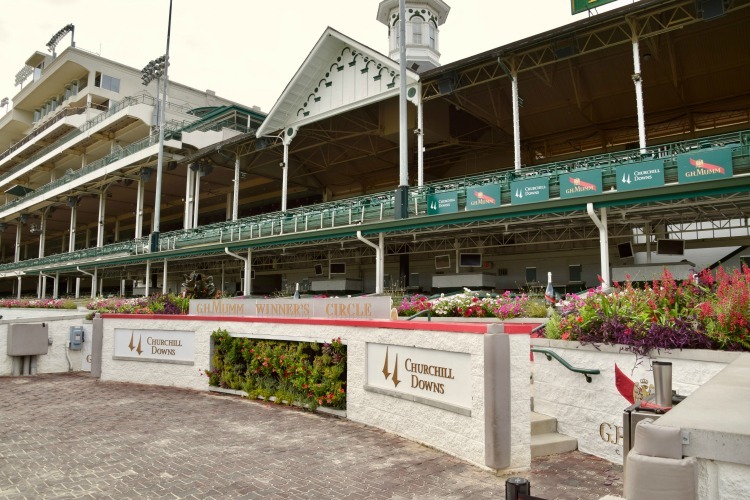 After lunch, head over to Churchill Downs for a tour of the Kentucky Derby Museum. You don’t have to be a horse lover or even a racing fan to enjoy this upscale museum. From the wall of winners (horses and jockeys) to Riders Up (a simulator experience), we loved it all. A most interesting part of the museum was the derby fashions that have been worn over the years. After all, this may very well be the most stylish event of the year. Did you know that more than 400 roses make up the rose garland that goes around the winning horse’s neck? After touring the museum, we went on a guided tour of the track at Churchill Downs. Our guide was exceptional, explaining the hype leading up to the race, the race itself, the facility, and past winners. Did you know that not only is the Kentucky Derby on that specific day, but around 17 other races as well? It is business as usual at Churchill Downs but only the derby has that magnitude. Get your photo made in the Winner’s Circle at Churchill Downs on your Kentucky Derby Museum tour. 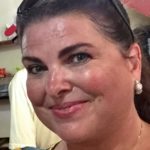 Photo by Melody Pittman/Southern TravelingMom. You might want to head back to your hotel and freshen up for dinner or simply rest your feet. Dinner was a special celebration that night because we tasted the original Hot Brown sandwich from the historic Brown Hotel. The hotel and lobby are gorgeous. The lobby features several areas of seating arrangements as well as the Lobby Bar restaurant, perfect for enjoying food from The English Grill in a much more relaxed setting. From what I understand, the hotel serves the Hot Brown into the wee hours of the night…it is THAT popular. What is a Hot Brown you ask? Only the best sandwich ever! 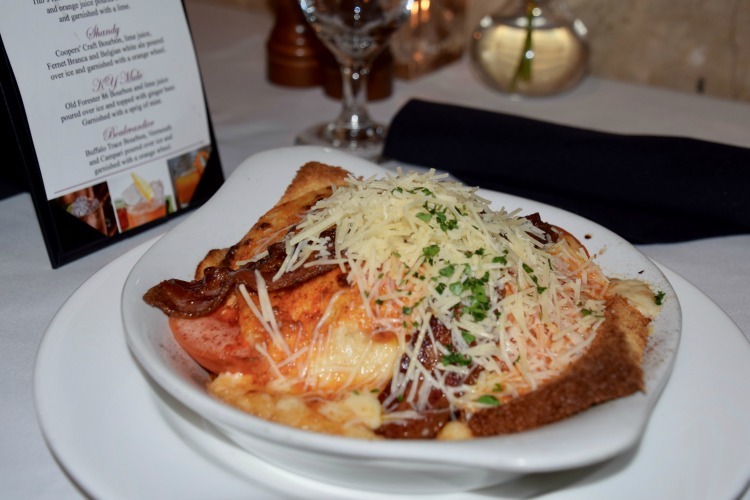 Created over 100 years ago by an employee of the Brown Hotel, picture thick sliced turkey over toasted buttered bread, topped with a decadent mornay sauce, sliced tomato, crispy bacon, dusted with paprika. It is heavenly! Though I have enjoyed these tasty dishes for years on my Kentucky travels, trying them from the place where they originated was special. The Brown Hotel definitely makes the best one! Enjoy the hotel’s ambiance and live piano music while unwinding and taking in the beauty of it all. This is a great spot for an after-dinner drink or coffee service. The Kentucky Hot Brown is a luscious dish covered with a rich and creamy mornay sauce. Photo by Melody Pittman/Southern TravelingMom. TravelingMom Tip: The Brown Hotel offers afternoon tea in the lobby. Head back to the hotel and rest up for day two in Louisville. You must have breakfast from Wild Eggs, a downtown eatery. The food is sensational and the decor is bright and cheery. Taylor swears by their Chocolate Chip Pancakes with bacon but I indulged in something a little more exotic, the Mr. Potato Head Casserole. It was truly a phenomenal dish, with layers of vegetables, hash browned potatoes, and eggs. The flavors married well together. The sweet tea is on point, too. The Frazier History Museum is an awesome place to visit in the heart of downtown. It has rotating exhibits as well as temporary ones. 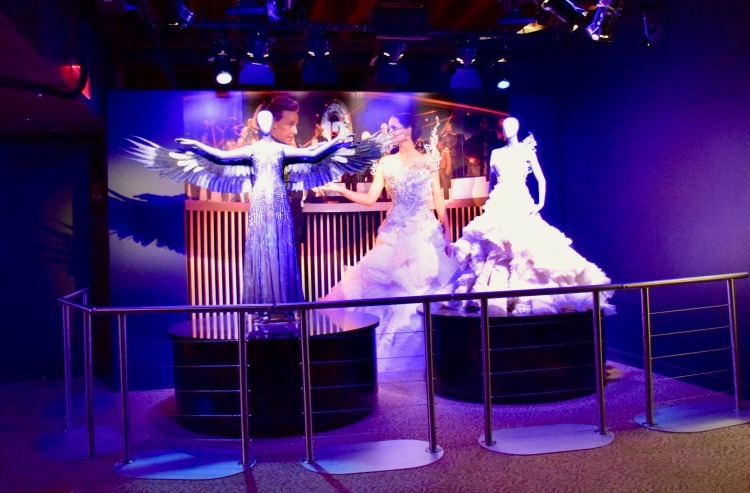 When we visited, the Hunger Games touring exhibit was there. Taylor and I are both fans so we absolutely loved it! Other than that, the museum also had a cool prohibition offering and Lewis & Clark display. I loved the miniature toy soldier gallery, too. On my travels, the Hunger Games touring exhibit was at the Frazier History Museum. Photo by Melody Pittman/Southern TravelingMom. 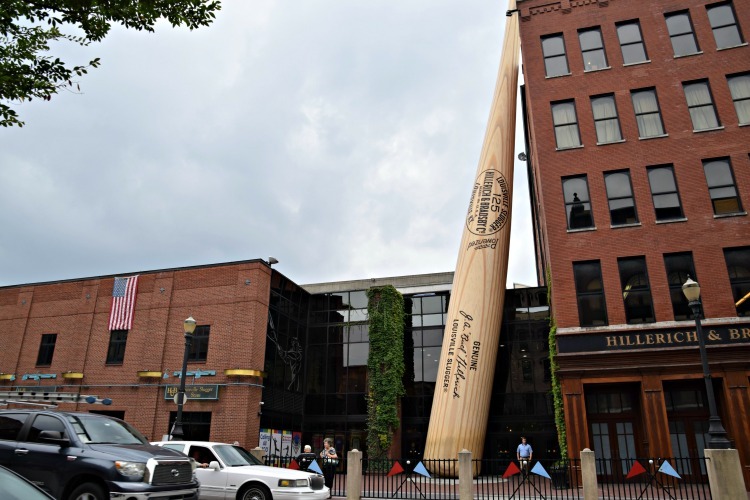 Pretty cool to think of a whole museum dedicated to wooden baseball bats! Photo by Melody Pittman/Southern TravelingMom. For lunch, pop in Mussel and Burger Bar, a top-ranked hip American bistro with a stellar reputation. Taylor and I sat at a high top table in the bar for a super relaxing meal. 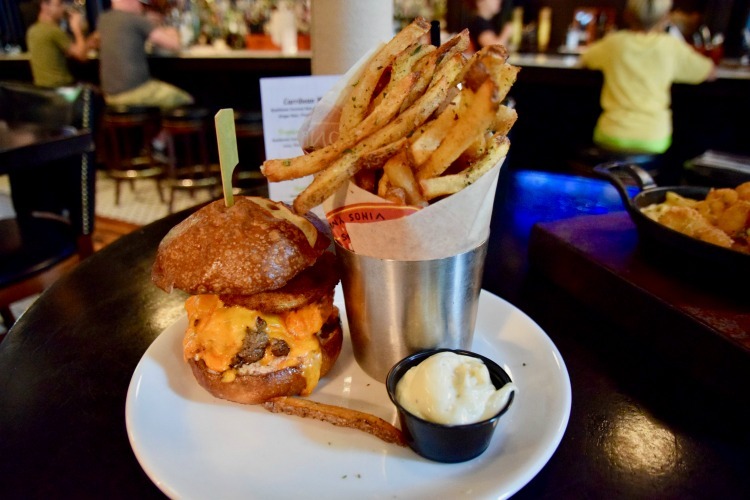 The gourmet burgers can’t be missed from this foodie hot spot. I ended up with the Southern Bell Burger (a recipe with fried green tomatoes and pimento cheese that suits Louisville, Kentucky’s Southern reputation!) and Taylor had the 4 Cheese Mac & Cheese with bacon and a brown butter crumble. They were both decadent and tasty. My burger was topped with tangy pimento cheese and a fried green tomato. It doesn’t get much tastier than that! Photo by Melody Pittman/Southern TravelingMom. After lunch, finish strolling downtown and snap some photos of the street art or do some shopping. Louisville Mega Cavern is next on our list. This enormous cavern can be explored from a mega tram that goes deep into the Earth. Mega Cavern also features ropes challenge course, cavern ziplining (the only one in the world! ), and motorbike paths for the more active travelers. A new option is the “funderground adventure” by E-bike. Taylor and I both loved visiting the Mega Cavern. The tour operators are entertaining; be sure to tip them! There is also a special holiday offering that you can read about here. 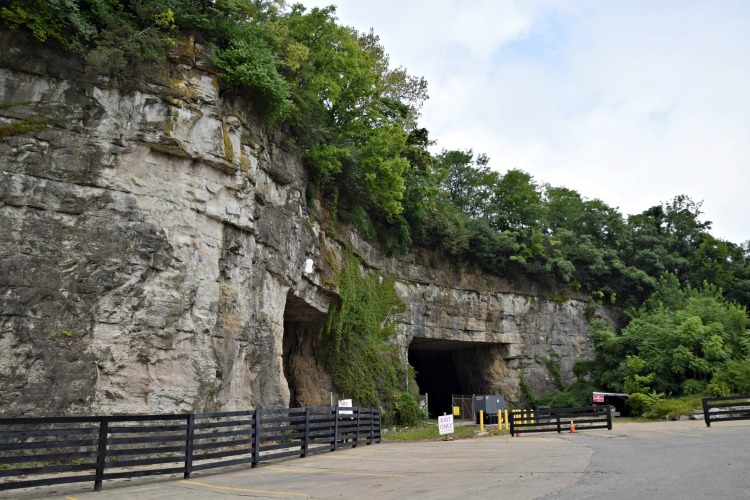 The Mega Cavern sits underneath the Louisville Zoo property. Photo by Melody Pittman/Southern TravelingMom. Spend your last evening in Louisville cruising on the Ohio River in one of the incredibly popular and historic paddleboats. 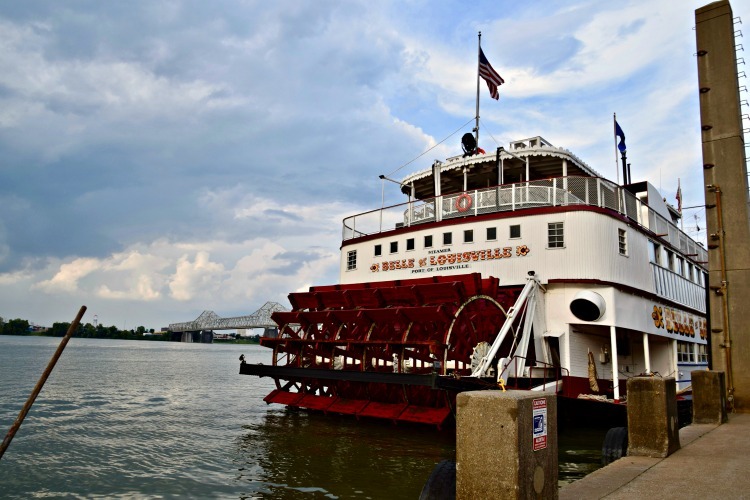 Both the Belle of Louisville and Mary M. Miller, the newest member of the fleet, offer evening sightseeing and dinner cruises. For a few more dollars, you can add the dinner buffet option. You will want to pick this one because the food is really good. The first hour of the cruise features a well-stocked buffet with fried chicken, beef brisket, salad, green beans, mashed potatoes, and more. Desserts are sliced pound cake, pie, and cookies. Tea, water, and coffee are unlimited. We heard these vessels referred to as “Louisville’s National Treasures” during our trip. Photo by Melody Pittman/Southern TravelingMom. After enjoying the buffet, head outside for optimum views while sailing the Ohio River for two full hours. 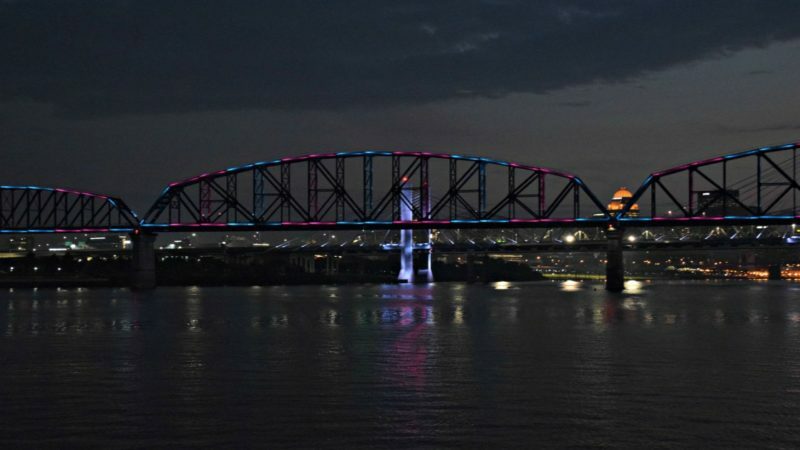 Have your camera ready for when you sail under the Big Four Bridge, one of Lousiville’s most beautiful sights, that changes colors (LED lighting) from sundown to 1 AM. Inside, a DJ narrates the tour and plays music the entire cruise. He also welcomes requests. Once he started playing the Bee-Gees, he and I became fast friends. Downtown Louisville has several hotels to choose from but for us, the Aloft Hotel was a perfect fit. The Aloft (a Starwood Hotel brand) has contemporary and stylish rooms, with functionality being the key factor. The hotel’s lobby is always abuzz with patrons visiting the bar, restaurant, or shooting pool at the pool table. Intimate seating groups are scattered throughout while swanky music provides the background ambiance. We really loved this hotel and the ease of parking, trendiness, and comfort. For those wanting a more luxurious stay, I recommend The Brown Hotel, which combines old world elegance with modern conveniences. 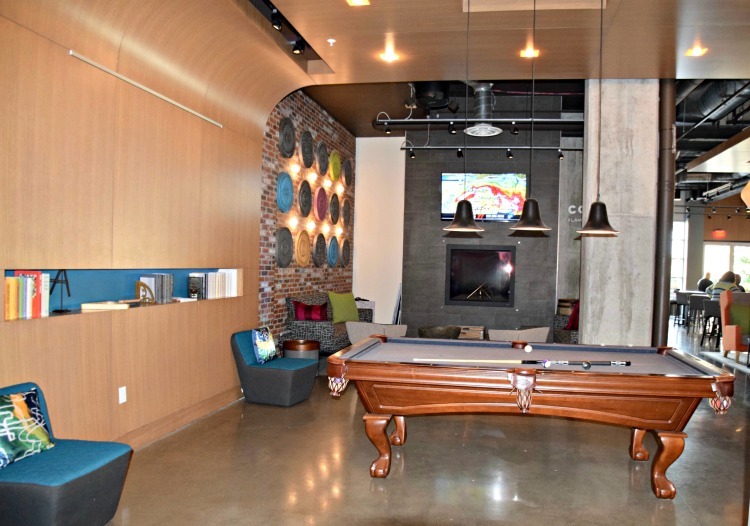 The Aloft Hotel offers many fun options for socializing, fun, and dining right off the main lobby. Photo by Melody Pittman/Southern TravelingMom. Louisville, Kentucky wowed me with its many attractions and beautiful scenery. My favorite parts of visiting Louisville were photographing the amazing bridges and touring the Kentucky Derby Museum. From Louisville, you can also drive 20-minutes across the bridge into Indiana and get your gambling fix at the Horseshoe Southern Indiana casino. 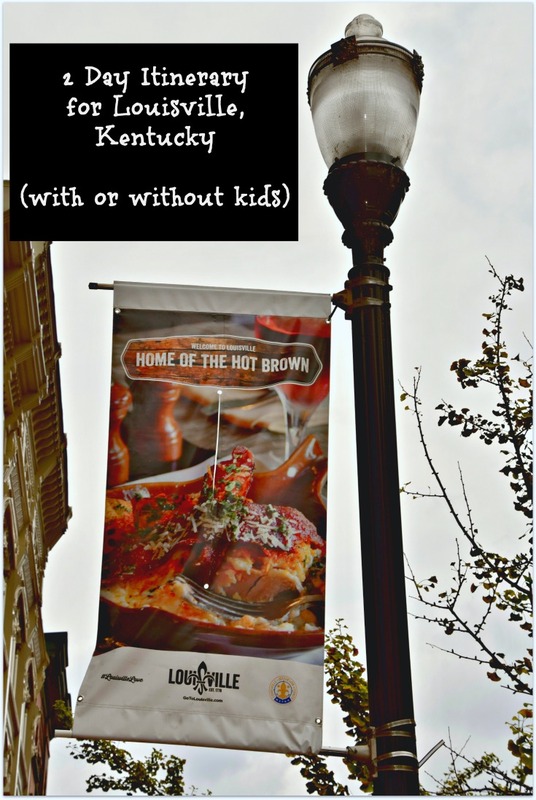 I think you will really love this chic Kentucky city!